So you want to learn to cook, do you? That’s great because I really really really love making food happen! 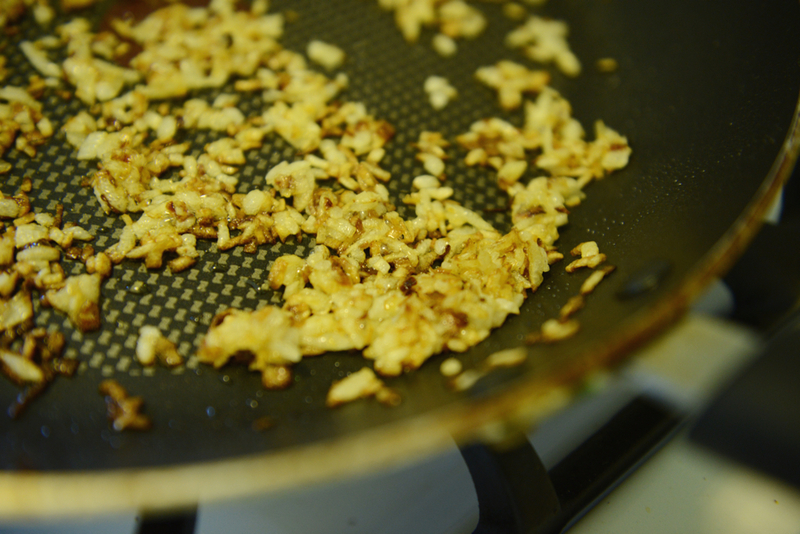 You want to cook, but let’s face it: you have no clue what you’re doing. No worries. I’m going to start a series of posts that will give you the basics on cooking (it’s really not that hard once you start doing it more often). In line with these posts, I’ll blog on some of my favorite things to make (um, avocado spicy egg salad anyone?) that is almost always super easy to make once you get the basics down. I started making food in middle school (or maybe even before that). I burnt a bunch of pans (my mom is shaking her head somewhere) and ate disgusting questionable looking meals with mysterious smells so that no food was wasted. I still have some serious downfalls when I try to navigate Pinterest and get way ahead of myself, but for the most part my instincts have been sharpened over the years and so can yours. 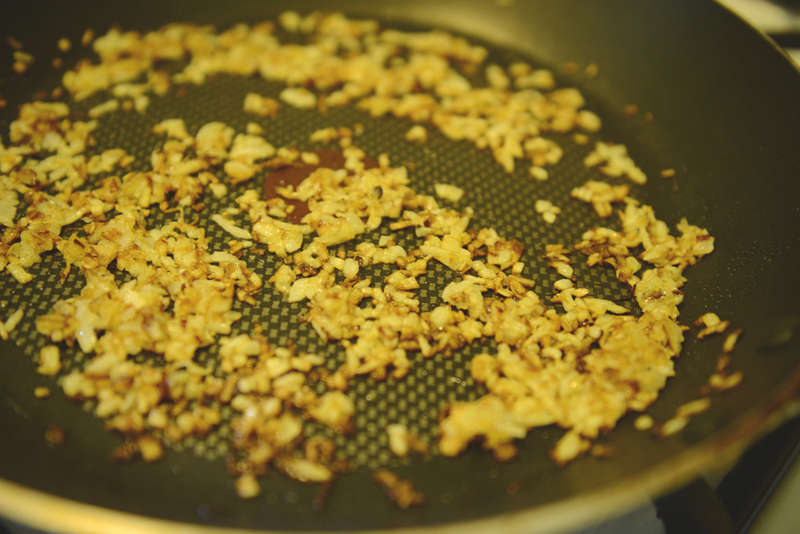 So, the basics… first and foremost, onions & garlic. 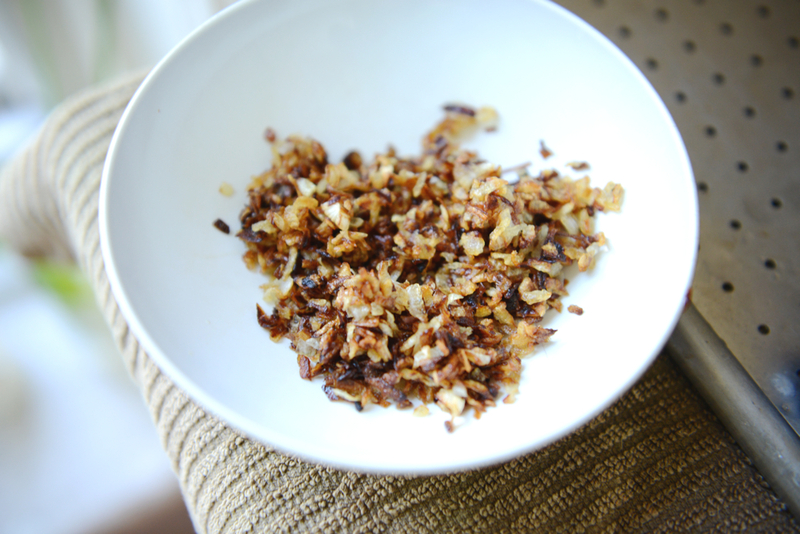 Most of the things I make have a base of browned onions and sometimes garlic. They provide the perfect flavor to just about anything and take the dish to a whole new level. They also make your home smell ah-mazing. 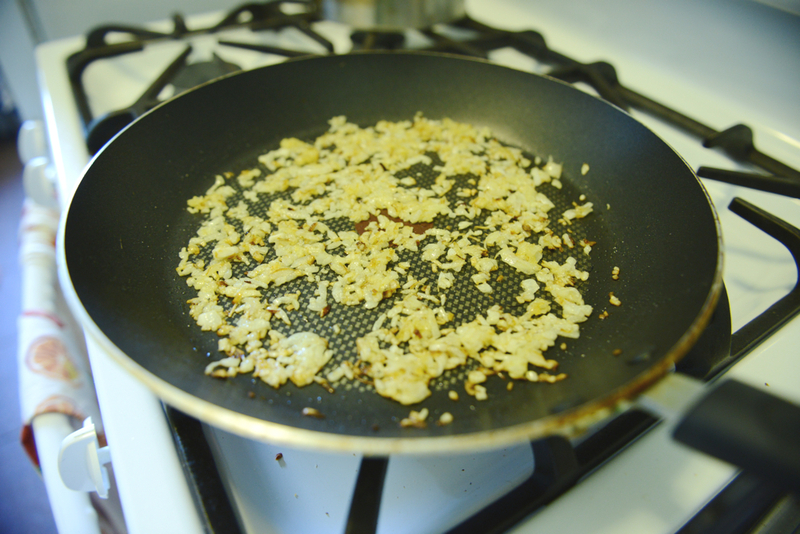 With that said, browning onions takes some practice… so let’s get started. Use a knife that is nice and sharp. 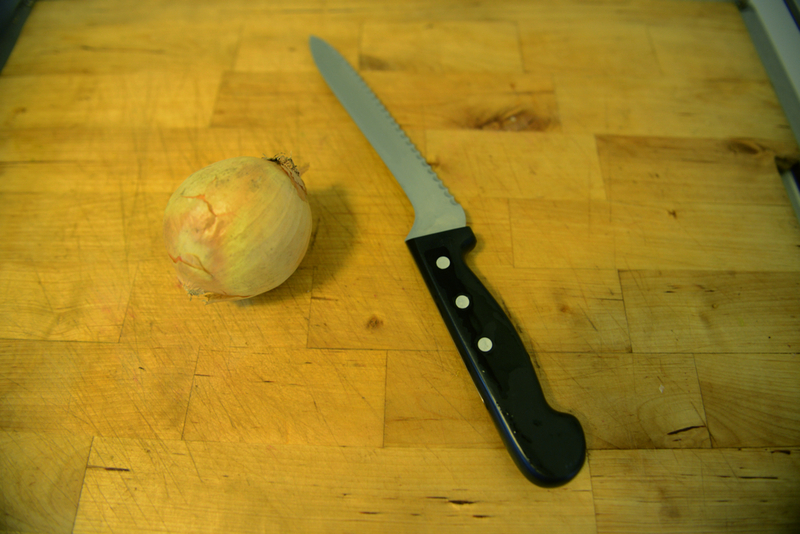 If you use something dull, it’ll be very hard to slice the onions nice and thin. 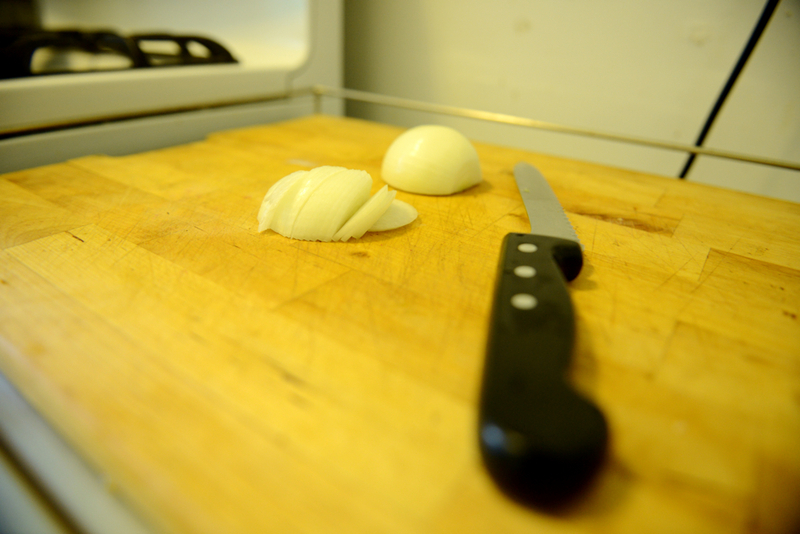 after peeling the onion, cut it in half and slice each half to make half moons, nice and thin. the rest of the photos, the onions are sliced even further… I normally use the half moons, but I was making something that needed the onions to be very small. 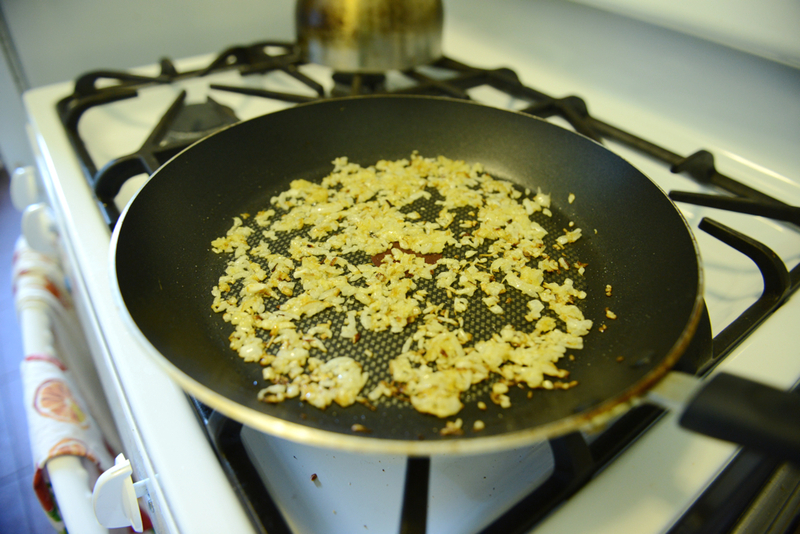 pour a nice amount of olive oil (or grapeseed oil or canola oil or whatever… just oil) on a pan and turn up the heat. 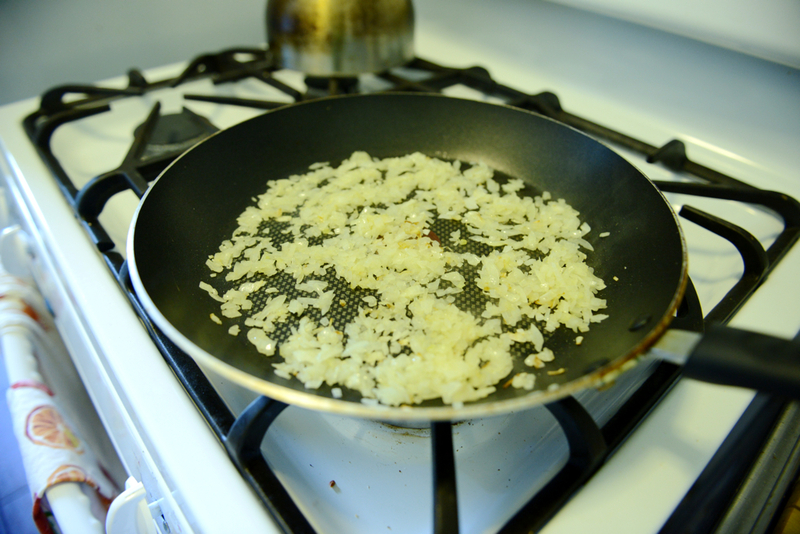 use a large pan, if your onions are all on top of each other and not evenly spread out, they will not cook evenly. 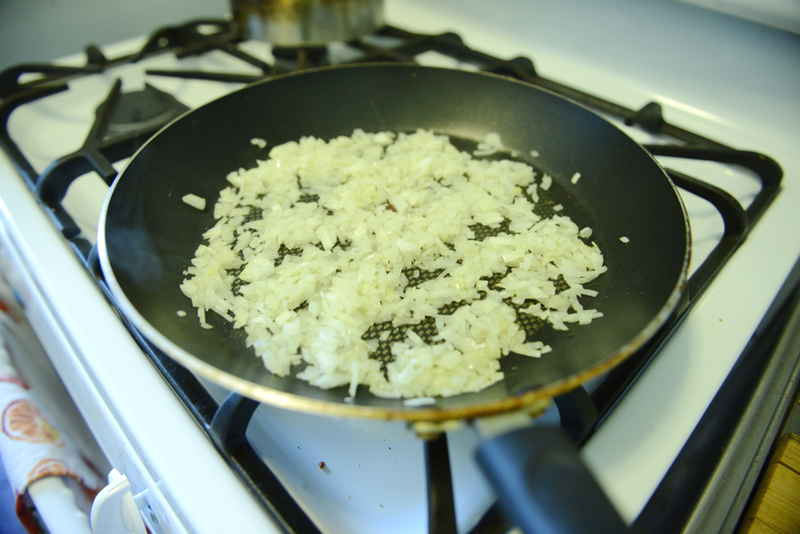 you want to keep the heat high, but make sure the onions are not burning… the onions should not go from this white color straight to black… no bueno. turn the heat down a bit if that is happening. keep stirring every other minute or so… turning the heat down as necessary, but keeping it hot. 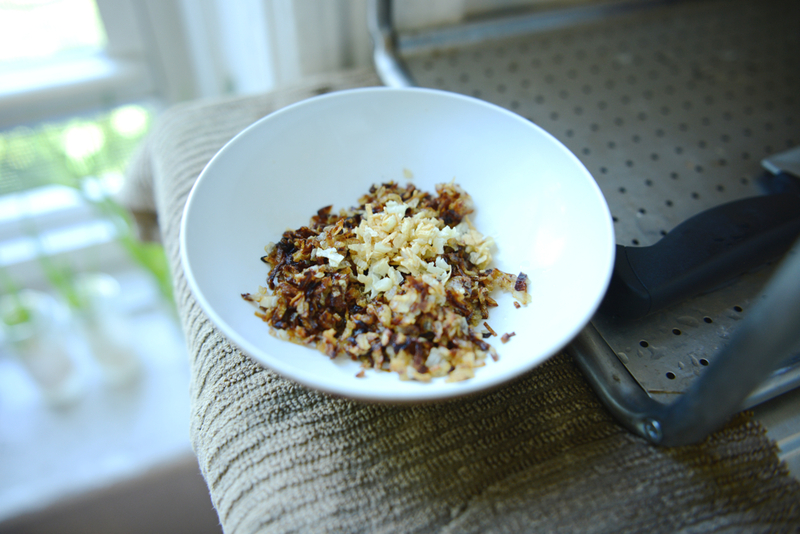 do not leave to go to the bathroom or watch tv or whatever… if your heat is at the right setting, your onions will burn. 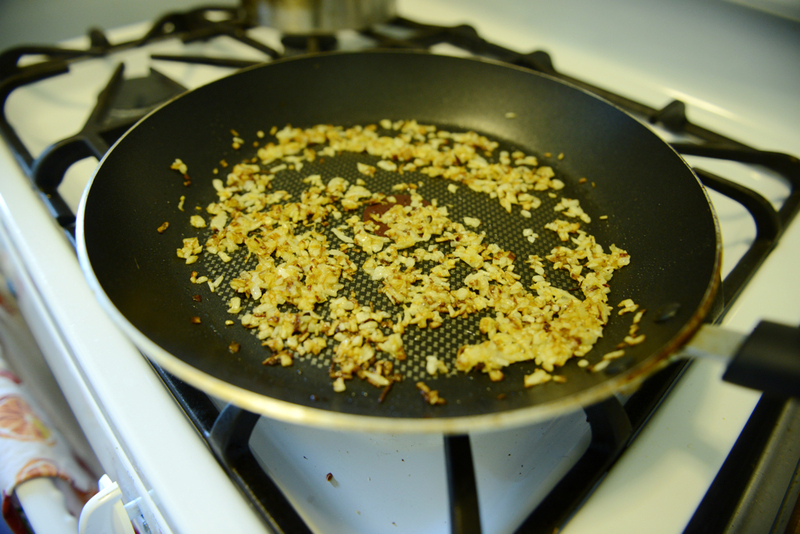 I normally make things in the same skillet, so I’ll toss the garlic in when the onions are about 40 seconds from being finished, but I did them separately here. WAM BAM! There ya go, easy peasy. Make this the base of anything, I’ll be posting some recipes shortly to give you an idea. Feel free to post questions in the comment section. Great Post. Onions and Garlic are my EVERYTHING! 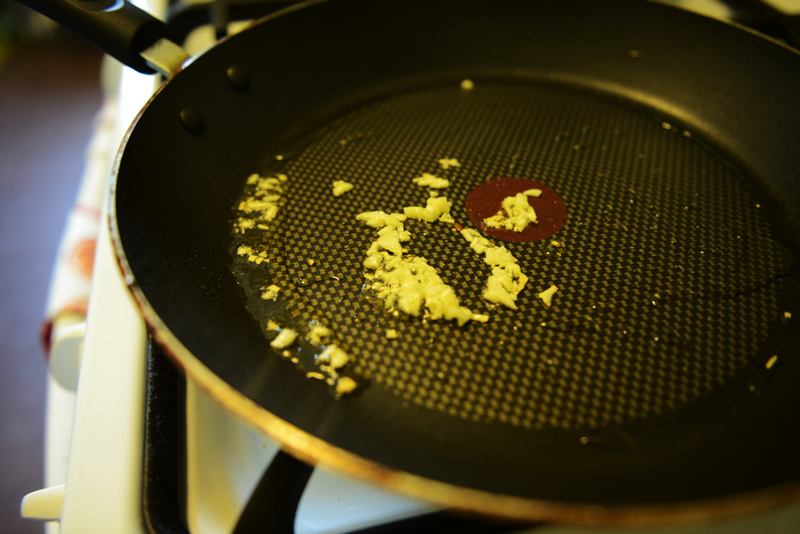 Sometimes I wait until the end to add my garlic, just to give a dish some extra kick.